Thomas Mølsgaard joined Zacco in 2015 as partner, attorney at law and manager for the legal and trademark department of Zacco Øresund (covering Denmark and the southern part of Sweden). Mr Mølsgaard has many years of professional experience at major law firms and IP firms – such as NJORD Law Firm (formerly MAQS) and Budde Schou – where he has gained tremendous experience in providing expert legal advice on the protection, commercialisation and enforcement of IP rights, in particular trademarks, designs, copyrights, domain names and trade names, as well as in providing expert legal advice within general corporate and commercial law. He has a high level of experience with cross-border legal and business advice through his work as an outsourced legal counsel with the legal department of the German Danish Chamber of Commerce. Mr Mølsgaard is also an experienced litigator who has successfully conducted and won a number of important court cases for rights holders in Denmark and before the European Court of Justice. With an astute business understanding combined with a broad, deep legal background and experience, Mr Mølsgaard provides strategic legal advice that is treasured by clients. 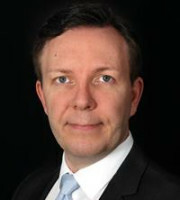 Mr Mølsgaard graduated in 1997 with an LLM from Copenhagen University, Denmark. He also holds an LLM from Ruprecht-Karls University, Germany, 2001, and was admitted to the High Courts of Denmark in 2004. He is a member of a number of national and international professional organisations, such as the International Trademark Association (INTA), the European Communities Trademark Association and MARQUES. Mr Mølsgaard has served on committees with INTA for several years and is presently appointed to INTA’s Anti-counterfeiting Committee for the 2018-2019 term.